Giovanni is a PADI Dive Instructor who joined the beautiful underwater world 4 years ago. 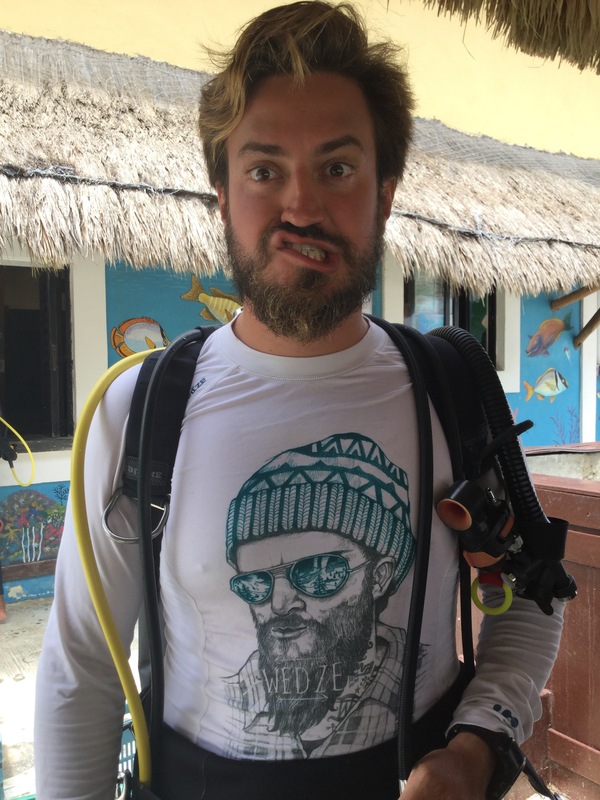 He has been working at Dressel Divers since 9 months ago and, at this moment, he is one of the best PADI Dive Instructors of our dive center in Playa Paraiso (Playa Del Carmen). Today we went to the Mayan Riviera to meet this nice guy and learn more about him. He has talked us about his most incredible dives, his best moments with students and many more interesting things. I started diving at 26 years old. The most incredible dive I ever did was my first cave dive. It was in the Dominican Republic while I was working with Dressel Divers there, in the Padre Nuestro Cave. After my Advanced Course, I started getting more confidence in diving and started doing it often. One day, I realized that I was spending my whole week in the office waiting for the weekend so, I could go diving. At that moment, it came to me that something was wrong. I did some research on how is it to be a full time Dive Instructor and after that, the decision was easy. 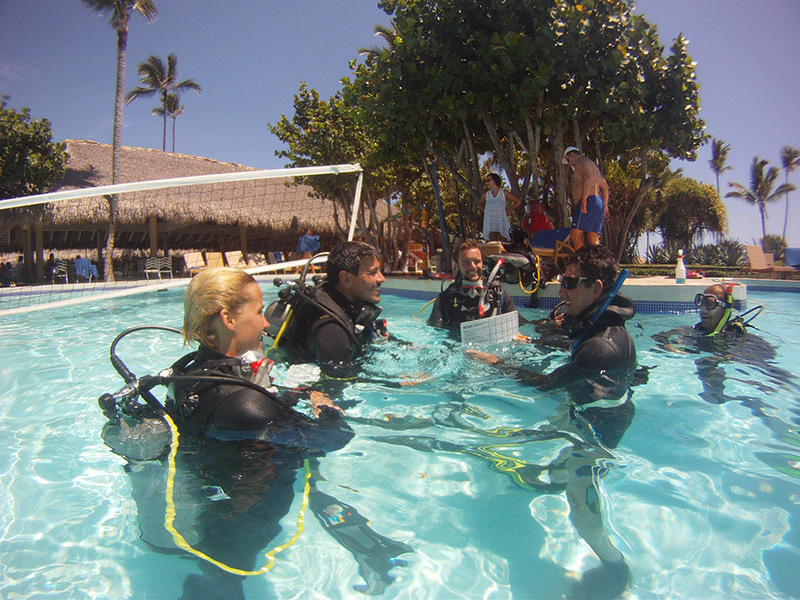 Where and with whom did you do your Dive Instructor course? I did my instructor course in Brazil with a local dive shop with some very good instructors that I’ll never forget. But the time to explore the reefs around the world arrived and I had to go. 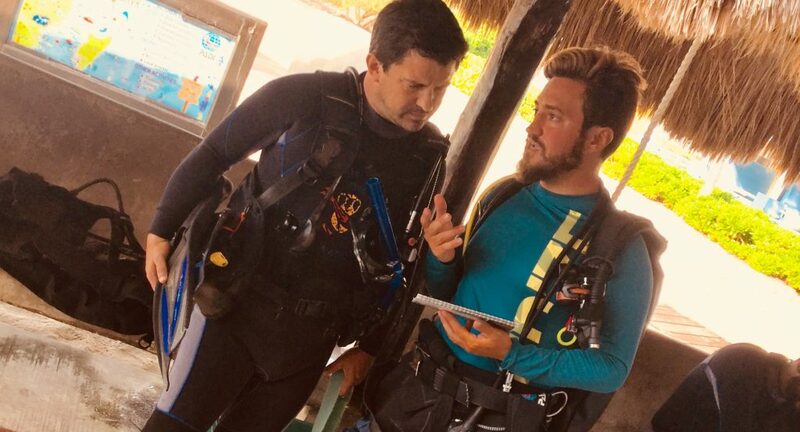 I believe that a Dive Instructor to be successful, first, needs to dive for his customer and adapt for his needs and second, you need to really love it. It’s a hard job, with lots of pressure and responsibilities and the only way to keep up with it, is loving it. I would say that my best advice I ever gave to students is for them to “try”. Try new gear, try new weight position, new dive sites, new environments, new depth… trying, with safety, is the best way to experience dive. It’s very hard to name one specific moment, but for me, I love to hear the first phrase of a student after his first cavern dive or ocean dive. I’m collecting those :). Why would you recommend Dressel Divers to the new students? 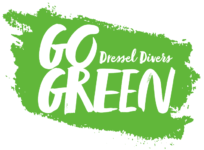 I recommend Dressel Divers to new students because Dressel is the most safe, reliable and organized Dive Center I’ve ever seen. Its operation is very well planned, equipment always well maintained, good boats prepared for divers and the instructors have a strong training to deliver what was promised. I’m with Dressel for 9 months. I chose to work with Dressel because I wanted to start my career in a big and reliable company where I was sure I’d learn a lot, they would follow PADI standards, and I would get tons of experience. And the possibility of moving between bases is a very nice plus. I’m not planning to move from Playa Paraiso. I’m enjoying very much here as I have the opportunity to go cave diving, snorkel with whale sharks, explore the reefs of Cozumel and dive with bull sharks, and this in only one week. What is the best advice you would give for someone who wants to make a living with scuba diving? Just go for it. Take the plunge and go for it. The sooner, the better. The only way to really know how the life of a Dive Instructor is, is to be one. It was the best decision of my life. What are your other hobbies? What do you do on you day off here in Playa Paraíso?Honestly, what I most like to do on my days off is diving. I usually go cave dive in the cenotes but sometimes I go for a fun dive in one of the other bases.